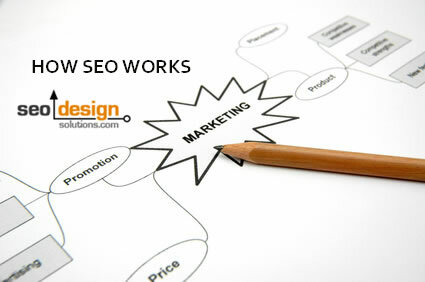 Search Engine Optimization also known as the acronym SEO, is a collection of tactics unified for a common goal. That goal is to streamline inconsistencies within a website from the page level that obstruct those pages from being considered relevant or authoritative for specific keywords in search engines. As the collective body of pages grows, a website starts to acquire a degree of relevance on the topics contained within those pages, and the site becomes capable of producing its own ranking factor. Prior to that stage of development, cultivation is required to enliven specific components of optimization ranging from image optimization through alt tags, anchor text optimization, the use or relevant naming conventions, revisions to site architecture, having a suitable saturation of content for the keywords targeted and most importantly the degree of trust from search engines needed to cite your pages as an authority. As a critical spoke in the wheel, SEO as a facet of marketing has the capacity to deliver traffic for weeks, months or years, aside from occasional pruning or intermittent invigoration from cultivating fresh content or links on the subject. As a result, buoyancy occurs and each page and keyword find their respective position based upon 1) the clarity of the on page SEO factors (how optimized the page and site are) and 2) the off page SEO, meaning links and respective reputation the page has acquired. Both, links and trust are required to create the appropriate synergy, however, once a keyword benchmark has been reached and exceeded, that page can be leveraged like the buddy system to augment and rank additional pages within your website for alternate optimized key phrases. Which SEO Tactic Works Best? Relevance is a moving target, as there are many ways to accomplish the same objective. Determining which tactics works best is merely a matter of preference and experimentation until the proper combination manifests. Just like 6+1=7 as well as so does 3+4, tactic is typically absorbed if the fundamentals supporting them are still based on agreed upon conventions. Those conventions are relevance, trust and authority which are all by products of content, promotion and time. There are critical milestones (involving layers of multiple processes) that typically mandate a top ranking. As implied, each method is dependent on relevance (how many pages are present), timing (when you started optimizing the keywords), how competitive the keyword is (meaning how many thousands or millions are attempting to optimize the keyword) as well as the amount of time required to build topical pages or links for a domain (weeks, months, or years for some competitive keywords are required). What is important for SEO Purposes? In the past, it was possible to rank well with a handful of pages on a topic. Now, with the volume of content for any given keyword being inundated with hundreds, thousands or millions of new pages daily, the landscape has changed for the 10 page wonder sites of yesteryear. If your site architecture is dated, one pliable work around is to install a blog in a subfolder and utilize it as a beacon to enliven and invigorate fresh topical content on your website. Once you build a relationship with search engines through introducing daily updates utilizing posts based on keyword that are relative to your market, they will start to return more frequently and digest larger portions of your website. Just going back and changing pages from the past is not always enough, you need to do something new to let search engine algorithms know that you are vying for a top position as a contender amongst the thousands of other websites pushing each other out of the way to reach the top 10 spots. Links – Links equate to popularity and have the unique ability to make a page take on a specific utilitarian presence. Now instead of a page just being another placeholder in your website, with enough backlinks from other pages, it becomes more important to search engines (since they grade pages based on popularity) and cultivate the ranking process. On page changes are the engine within a website and links are like the fuel. One without the other produces marginal results, but when properly combined is a winning combination against competitors. Spidering and Indexing – A websites’ architecture sculpts which areas are important, which pages get fed and if there is enough internal link flow within a site to propel a page into the top 1000 results. After a page hits the top 1000, then you can fine-tune it (using other pages, internal or external links) to reach the top 10 results. Search engines use spiders (user agents or bots) to crawl the web and if critical pages within your website are poorly positioned (lacking sufficient inbound links) then your internal signature is communicating that specific page is not a worthy destination. Popular pages need to have relevant linking structures, preferably exist closer to the root folder as opposed to nested in a subfolder 3 layers away fro m the root as well as should have a sufficient amount of links from other websites to toggle spidering activity from search engines. This is the first and most important aspect of SEO, getting the search engines to visit and index the pages that are optimized. 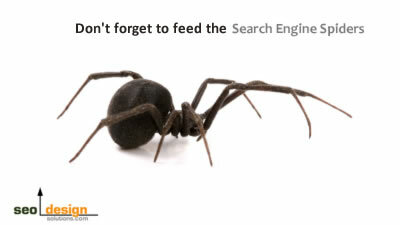 If your website houses impeccable content and yet the site architecture is poor, then search engine spiders mail fail to reach and include those pages (meaning those pages will not be included in the index). Trust – This is the last stage of development for a website and typically occurs after a website has accrued a suitable number of pages on a topic or reached a critical number of links from other websites. Trust is the objective of SEO, meaning that your website will require less effort to achieve higher positions as a result of optimization. Acquiring trust is usually a matter of time, but the process can be expedited through strategically timing a series of events to promote a natural link velocity, content saturation profile and conglomerate of on page factors. There is no magic bullet for SEO, it requires time, energy, effort and strategy to manage multiple keywords simultaneously. While many feel it is something that can be done internally, it is often best to outsource the various components to specialists who can diversify the range of indicators required to ensure that a website is firing on all possible cylinders. SEO’s sole purpose is to deliver traffic, but once visitors arrive, that traffic must translate into sales and convert into customers in order to produce a lucrative return on investment. Understanding which process is most suited for the degree of development a website exhibits requires experience to discern critical signals that search engines produce. 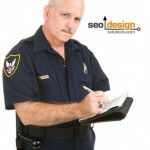 Establishing the necessary protocols is easy enough, but SEO requires implementation of long term strategies in order to see consistent results, so, if the approach is not structured, it is often difficult to know what worked and why, which is more important than taking a wild-west approach and flying by the seat of your pants. 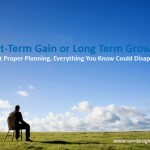 Website Authority: Short Term Gain or Long Term Growth? 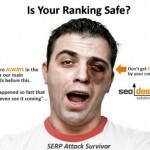 SEO Ultimate WordPress SEO Plugin Version 4.8 Released! 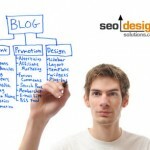 Does Your Company Have a Business Blog? 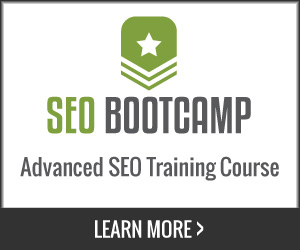 I agree with you that there’s truly no magic bullet for SEO. Website owners need to realize that it takes a lot of time and effort to implement good SEO tactics and everyone has to be involved i.e. the website owner and their SEO specialist. Great Article. Thanks for the insights! Always learning….. always testing…. always trying. That is what makes SEO so fun! What you said at the end of your article is completely accurate. A common misstep that comes to mind, is not writing down or accounting to the changes that SEOs have made after making them. Not knowing what worked and what did becomes a great disadvantage in broad scheme of things. The trial and error approach only works if you calculate and analyze those errors. Then to burn them into your memory to not produce the same errors again. The idea of ‘We learn through our mistakes’ comes to mind. If you can avoid mistakes, then all the better, but you never know until you try. I agree 100% on your emphasis of the importance of content. It is no longer possible for sites to just be whipped up, made SEO friendly and be on the first 3 pages anymore. Without that trust, what is point? Google’s constant battle with spammers may at times confuse trusted sites as spammers themselves. That is why I believe that relevant content is so important to any website. Again a very well written and great article Jeff. Good post. This article really help me to understand the way of link building. I still newbie in this field, so this guide pretty helpful for me. Considering an Offshore SEO company and the advantages to hire someone in that manner can be a very wise decision. It is important to do a thorough background check before deciding to do business with any company. The same applies for outsourced SEO companies. 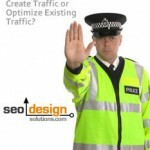 Find out how long they have been providing SEO services for. That itself will be an eye opener as to how much experience they have. Before finalizing any terms with a company, see if it is possible for them to send you some samples of the projects that they’ve worked on in the past. Many SEO companies today also provide current ranking statistics for many of their long term clientele to show you where they stand and how they’ve effectively optimized particular websites. And as it is going to conduct a business in your site, it is highly expected that you should take care of the reliability, security and design of the website. These factors are quite often discarded in the run of cheap web designing. It would be a wise decision to spend some more money in a good web designing company rather than getting fooled by a copied or slightly manipulated template designed website. 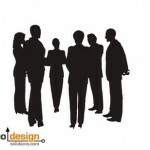 Many prominent web designing and SEO companies are prevalent in their field. It is highly important to get your website designed in the SEO optimized manner; otherwise having a website merely can never help you. Companies like http://www.medicalwebexperts.com, http://www.webdesign.com can really prove out to be very helpful for the publicity and productivity of your website by increasing the relevant internet traffic to your website. This is useful. It’s hard to find any solid information about SEO on the net. Your 100% right, the search engine benefits should be thought of as more of a bonus. Also, if you leave junk comments you will also be known as a spammer, and you don’t want that to happen. me as much as this one. I mean, I know it was my choice to read through, however I actually believed you would have something interesting to say.